Never drink during the week, neither spirits nor wine, whatsoever - only do so when you have a guest or if there is a specific reason, then you should only drink one cup. On Shabbos it is permitted to drink an ounce of Arak, and two or three ounces of wine - not more. Never become intoxicated, even on Purim or Simchas Torah - drink only two or three cups of wine. Why do you think that drinking alcohol was something that was singled out by Rebbe Menachem Mendel of Vitebsk? There are differing views on alcohol, and indeed, alcohol has a positive a negative side. Like many things, the "dark side" – which comes easier – can easily become the norm, even if the original intent was quite different. In hard times, alcohol can be an escape from trouble, in good times it can be an escape from boredom into fun and frivolity. Alcohol in small doses is healthy and has great benefits, and of course, excessive alcohol is decidedly unhealthy and can cause great damage. How do we insure that proper care is taken with so potent a substance? Intoxication is a certain freedom. It frees us up to speak or act without inhibitions and without self-consciousness – and as such, there are times when a little intoxication may be viewed as a positive: For a truly refined person, a little alcohol will perhaps allow them to shine forth and their refined inner-self will come out, whereas, for the average person, the result may be a little embarrassing or even destructive. The question is, however, is that a reason to take a no-tolerance attitude? Was R' Mendele's son not especially refined? Isn't R' Mendele being a little extreme here? After all, the problem is only excessive drinking and only if the drinker is of low character, right? I don't know what R' Mendele had in mind, but in my opinion it comes down to three things: 1. Alcohol, when it comes down to it, is the opposite of self-control. 2. Alcohol is addictive. 3. Alcohol is a short cut. 1. These three points fly in the face of the foundations of derech hachassidus. It is often said that a chossid must be a mesudar; hefkeirus undermines avoda and progress. Self-control is a foundation stone upon which Yiddishkeit in general (and Chassidus specifically) emphasizes: A Jew is obligated to control his desires – be it food, time, speech, interaction, taharas hamishpocha, you name it – self-control is a virtue that we promote very highly, and this is especially discussed in chassidishe seforim. Alchohol runs contrary to that ideal. 2. Addiction. Is there anything sadder than a human slave? Should we enslave ourselves, even if only a little bit, to a bottle? Can a chossid, who seeks to serve Hashem in all his ways, be a slave to OLD No.7? 3. A Chassid doesn't take short cuts. The advantages of a little alcohol can be gained through hard work as well, and that's the optimal way. There are quick-fixes and "kuntzen" (tricks) for all kinds of things, but derech hachassidus looks askance at the short cuts; do-it-right-and-do-it-real is the way of Chassidus. As such, what possible point is left for drinking mashke? "On the 24th Teves, 5663, the Rebbe Rashab gave three reasons as to why chassidim drink mashkeh (1. 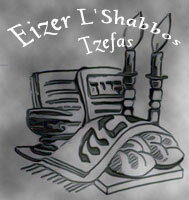 I t is a mitzvah to offer from the "hedyot" (Eruvin 63a, Yoma 21b) 2. "one gives the animal to drink before shechitah" (Baitzah 40a) 3. "one waters the correct place. "), and he said, "We need to be careful about drinking mashkeh. I say "we" as an heir to my holy fathers. My father taught me how to take mashkeh. When I was Bar Mitzvah he gave me a cup of mashkeh to say lechaim on. Those present protested that I was still too young. My father then answered: "The reason I am giving him mashkeh is so he stop being a naar (a child). 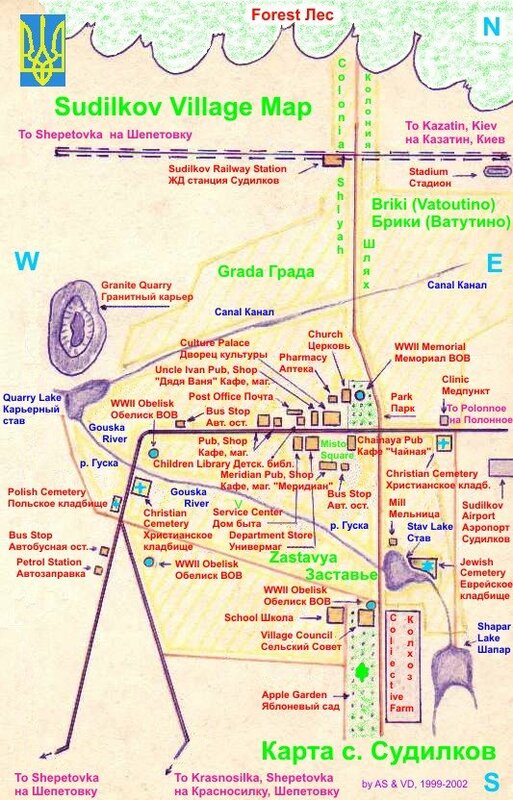 It was then that my father explained to me the well-known tune, Nee Zshuritshi Chloptzi." "The position in Lubavitch is that we look at people based on their potential. We have the highest expectations for each human, and by expecting so much we hope they will strive constantly higher than they ever thought possible. Other tzaddikim were perhaps more realistic and less idealistic, and wanted to emphasize safer approaches – knowing that people have a tendency to come-up-short of expectations. Perhaps R' Mendele felt that the risk was too great, while in Lubavitch the Rabbeim felt that Chassidim, if they only learn to drink mashkeh properly, could benefit from it, and therefore didn't take that approach." A person also has to look at the effect liquor has on him. It makes me feel basically lousy, so that settles the issue for me. I don't have to make a decision to drink or not drink it based on more general considerations. I like the graphic at the top. Reminds me of my visit to the Jack Daniels Distillery. Fascinating tour. And free! don't like the graphic. not good for a holy site. alcohol is over-emphasized in the community. wine on shabbat is one thing. hard liquor is another. the point is:avodas H'. how does drinking hard liquor help avodas H'? are you more likely to do mitzvos? how many great rabbbeim do you hear about drinking hard liquor? the point in our life, large or small is torah umitzvos. not a jack daniels graphic. Actually the graphic was a fitting selection because one looks at it and immediately does not associate it with something Jewish [whereas one may see vodka as such]. 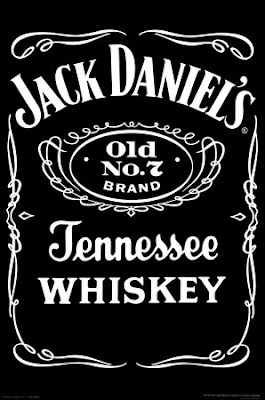 The whole point of the posting was to illustrate that even many religious Jews may not have the loftiest intentions when drinking alcohol; that their drinking becomes no different than the non-Jews drinking....and hence the Jack Daniels. Hey, you're sounding like a snag. Kidding aside, at least this blog ought to be an epithet-free zone. Interestingly, Rebbe Nachman's attitude towards alcohol seems to be similar to that of Rebbe Menachem Mendel of Vitebsk; indeed, it may even be more strict, e.g. there is a breslov minhag that the only achohol drunk on Simchas Torah be the cup of wine used for kiddush. While the use of alcohol to "get a little loose" and lower inhibitions and heighten receptiveness to new ideas is well known in Lubavitch, I wonder whether it is really a chassidic "thing" as such. Does anyone know what the attitudes among various groups are? 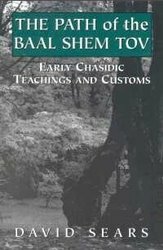 don't forget that Menachem Mendel of Vitebsk's Chassidut is the Chassidut of Eretz Yisrael..
perhaps in the galut alcohol plays a different role than in the Holy Land? i think we need to examine more closely the power of images, vis-a-vis the one here. this blog, to me, is a refuge from all the mess that confronts us every day in modern secular life. so, to see this image is disturbing. even though the intention is not bad, the resulting impact may not be good. as an artist, i'm acutely aware of the finer, more subtle impact of images. often, people may think that an image may be a good stimulus for thought or conversation. this can be true, but setting and location is very important also. i have great respect and appreciation for this blog. but on the use of this image, i must strongly disagree. I think you do bring up an interesting idea as well. Now I am wondering whether the difference could stem, in part, from the presence or lack of presence of alcohol in the surrounding area. In eastern Europe, vodka and other strong drink flowed like water, at least among goyim, and must have been tempting for Jews to indulge in to make life a bit sweeter. By using it in a semi-ritual fashion, e.g. at a farbrengen with a Rebbe, Chassidim could indulge, but not necessary go out of control. Hence a potential evil was "uplifted". In contrast, the first Chassidim to reach Eretz Yisroel must have encountered a society with far less alcohol given the Muslim dominance of the area. As such, alcohol could openly be stressed at lot less. How do you think the semi-ritual, in-control, uplifted drinking that Rebbeim allowed in the past later degenerate into the barf-fests some followers have now? The above should have said "degenerated"
nobody seems to care to address the issue of this image...images are powerful; and, why would such a beautiful site have such an image? R M.M of Vitebsk was the Rebbe of the Alter Rebbe after the Histalkus of the Mezritcher Maggid. That is clear and known. It would be interesting, therefore, to contrast the Alter Rebbe's pronouncements, and indeed the mesorah of his approach to alcohol with that of his own Rebbe, R M.M of Vitebsk. I don't subscribe to the view that all Rebbes in Chabad had the same approach to Avoda. The Alter Rebbe certainly didn't daven like the last Rebbe, and perhaps his attitude to alcohol was also different to the Rashab. There are some indications that on Purim- only- this decree was relaxed. I read something by Yitzhak Ginsburg, the prominent Chabad Kabbalist, which said basically this: A small amount of alcohol in social settings is permitted when it has the effect of opening one's heart to one's fellow or Hashem. If it doesn't have this effect, it's forbidden. I'm like Bob Miller -- just a little alcohol makes me feel lousy. So I never drink, only kosher grape juice. This makes it a little awkward when there's no grape juice at some kiddush or other event I'm at. In Trail To Tranquility, Breslever Rabbi Lazer Brody says that it is good and permissible to drink no alcohol at all. Even on purim one can take a nap instead of drinking. One of Rebbe Nachman's chassidim asked him once to pour him a drink. The Rebbe poured just a little drop. The chasid said, "A little is also good!" The Rebbe replied, "Only a little is good!"